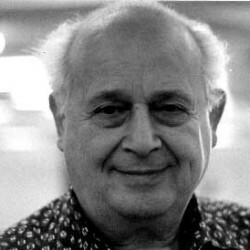 The Feldenkrais Method was developed by a man with an exceptionally inquiring mind, who lived in interesting times. 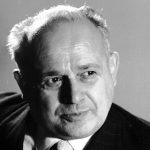 Moshe Feldenkrais (1904 – 1984) was a scientist who gained his doctorate in Physics at the Sorbonne and later worked with the Nobel Prize winner Frederic Joliot Curie in Paris. 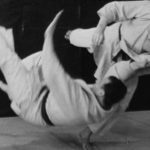 He was a judo black belt and author. His enthusiastic participation in sports was limited by a knee injury, for which only an operation with a low chance of success was offered. 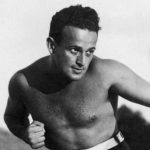 Spurning the offer, Feldenkrais was motivated to work out for himself what would make his knee better, and began to discover the bones of what later became his method. Information about child development (his wife was a paediatrician) further informed his work. By the time he moved from Scotland to Israel in 1955 he was working with people with all kinds of conditions, giving both classes (Awareness through Movement) and individual sessions (Functional Integration). focuses on movement, and yet it is about much more than that. It is about the development of flexibility, of mind and body, of the person as a whole. 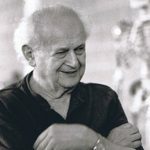 Understanding the connection between living a full life and optimum movement, Moshe Feldenkrais was looking for flexible minds rather than flexible bodies. A first experience of Feldenkrais is often of relaxation, the starting point for learning. From this starting point we use awareness as a tool and a process. Through awareness we widen our sense and knowledge of the self, and, amazingly, find that actions change as a result. My actions – like yours – are started and up-dated by constant feedback to my nervous system. The Feldenkrais Method actively uses this process to reconnect me with the possibility of intensive learning I had as an infant, when every day was a step towards more knowledge, more mobility and more useful intelligence. This constant process can be limited by age, and can be sidetracked by shock, illness or injury. Through touch, or by following specific verbal instructions, anyone working with the Method can increase awareness, and the ability to adapt according to the demands of the moment. We begin to solve problems better. We become more efficient – more elegant – more human. The impact of aging, shock, illness and injury lessens and changes. Life becomes more worth living. People working with difficult movement, with pain, or injury, often find this a more effective approach than more mechanical methods. Feldenkrais realised it is not enough to work just with the injury or problem: it happened within the movement organization of the person. The whole organization needs to be taken into account to not only help to heal, but to prevent repetition of damage. It also helps people with problems with the nervous system, such as cerebral palsy or multiple sclerosis, with aging, or with that unspecified sense that life could be better. Performers use the Method to hone their skills. Many people feel a “coming home” when they remember how to pay attention like this. Lessons can lead to real shifts in understanding the self in relation to the world, often feeling like an inexplicable pleasure. The experience of knowing oneself in this way seems to open up understanding of wider life issues, while overtly focussing on the practicalities of moving better. And, like being more human, it is an on-going process. One which doesn’t always have to happen within a Feldenkrais lesson or session, but which is enhanced by the awareness gained there.